This property is within a 10-minute drive of Flic-en-Flac Beach and features an airport shuttle (available 24 hours). 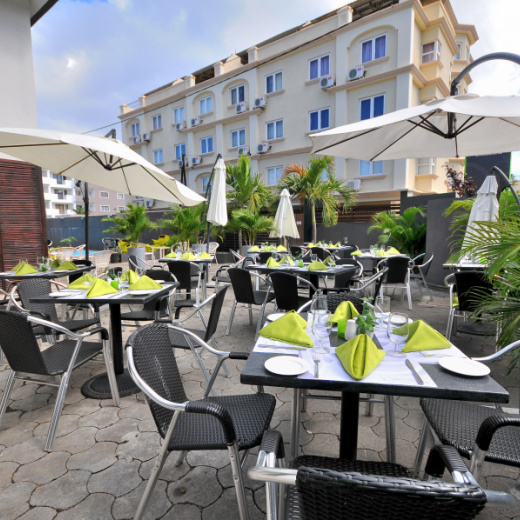 Guests can take a dip in the outdoor pool or grab a bite to eat at La Terasse, which is one of 2 restaurants and serves breakfast, lunch, and dinner. A bar/lounge and a terrace are other highlights, and rooms offer 24-hour room service and plasma TVs. All rooms are equipped with a private bathroom with shower.